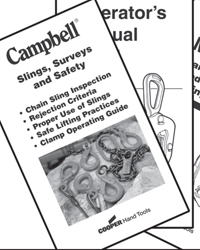 Use the proper clamp for the lift; see clamp manual for application. 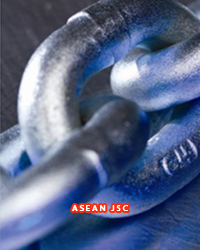 Read entire clamp Opertion's Manual before initially using the clamp. 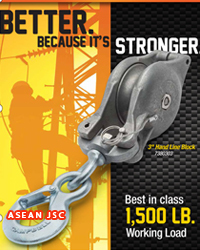 Campbell forged carbon steel wire rope clips meet the design requirements of Federal Specification FF-C-450, Type 1, Class 1. The base is drop-forged. 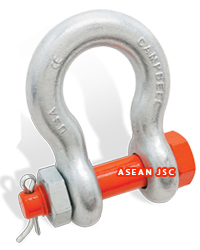 All parts are galvanized to ASTM A-153 specification. The U-bolt is dyed blue for identification. 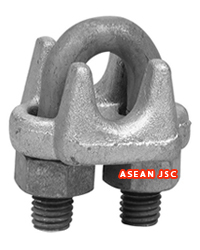 Campbell stainless wire rope clips are all drop-forged and made of Type 316 Stainless Steel, and have an electro-polished finish. 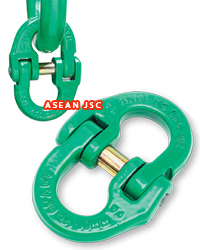 Wire rope clips are used for making eye termination assemblies.